Like a page turning over, colours have now surrounded us. Lush greens and colourful flowers are in bloom. Spring is definitely here - warmer days, hayfever and the smell of pollen, then crawly bugs and insects. And dust, cobwebs and the sort. Oh my. A general cleaning is in order, I suppose - but like any normal human being, I've been putting it off. Thanks to the guys from LG and Social Soup, I've been given a nudge to get this thing going and done with using the LG CordZero Canister C3. Because I didn't want to overwhelm myself, I spaced my cleaning into several days. Strategising 101. Ha, I'm getting better at this! Because I didn't have the energy (willpower) to spend an entire weekend tackling the house, I'm dividing the work in sections. J helps out, of course. I'll always remember what nugget of cleaning wisdom he shared with me when we were newly-married: "You can always spend a few minutes here and another few minutes there tomorrow, then the day after..."
First order of business: sorting out clothes. It's the time of the year to put away the winter season clothes and bring out the light, breezy dresses. With a cardigan of course, or keep a light sweater (or two) just in case. Just because we're in Melbourne and the weather can shift from extremes in such a short period of time (seriously - what's up with that?). Season change calls for different clothes and our wardrobe can only hold this much. I like rummaging through a wardrobe which holds the season's essentials than having all my seasonal clothes there at the same time. I find it less messy and more efficient, but hey, that's just me. So I started sorting out our clothes, neatly arranged them and labeled into vacuum bags. And of course, the little human had been on a growth spurt and outgrew his clothes again. 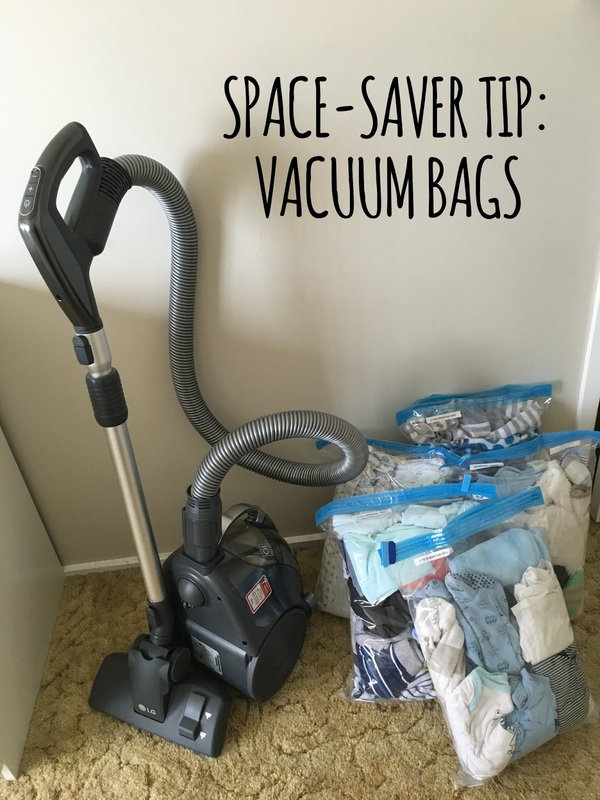 I love vacuum bags, it's a very nifty tool especially when traveling. So here's a confession: I tend to overpack and bring a lot of clothes that I don't end up using when we travel. You never know when you'll need that special dress during a trip, or a spare set of clothes because you'll never know when something spontaneous would come up. Better overpacked than under-packed, right? Vacuum bags have certainly become my friend especially during the BIG MOVE. It always amazes me how compact a pile of clothes becomes when it is stored in vacuum bags. Space-savers, these things. Anyway, I'm using vacuum bags again to neatly organise clothes in our storage. With the LG CordZero's help (using the crevice nozzle), I managed to finish the task in no time. 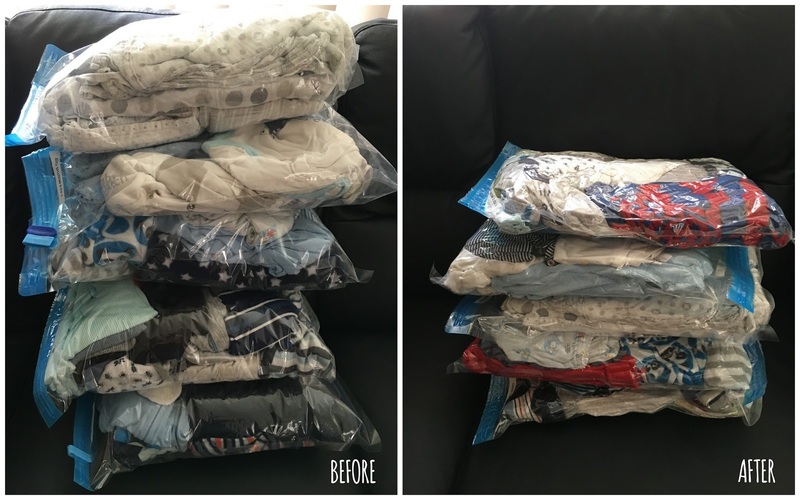 Truth be told, it took way longer for me to stack, arrange and fold the clothes than the vacuum zapping and suctioning all the air out. Suction, close, repeat. Just like that. The little guy's clothes before and after. Now imagine the space I saved with our "grown-up" clothes? Ah, I'm putting my feet up and patting myself in the back. Well done, self. Wardrobe now, the entire house (in sections), later. This post is brought to you by LG and Social Soup. I received an LG CordZero Canister C3 vacuum cleaner for review consideration, but all opinions are my own.